Amazingly there is a spot in Silks for us to use on Labor/Wiener Dog Day so look for the reserved signs. It’s going to be a very busy day at Canterbury so the spot should prove to be very helpful Monday. We will be over after the 4th race (if not before) and Group 1 will head on over to the paddock. Remember that the horses are led up to the paddock along the Continental Diamond Bridle Path next to Silks and that’s a nice photo opportunity about 25 minutes before the race. Additionally, please don’t forget to RSVP below for the coffee and donuts the morning of September 10 (next Saturday) so that we can get a close approximation of numbers so we don’t order food for 100 and only get 10! The race is race 5, a mile and 70 yard $7500 claiming race over the turf where we will break from post 5 with Dean Butler aboard. Approximate post time is 3:13 pm. Kluszewski (Silva/Mojica) – entered as a Main Track Only entry, he’d be tough against these on a wet track but as of now (Sunday morning) we’re only looking at occasional showers later today and spotty t-storms very early Monday so, hopefully, we’ll stay on the turf tomorrow and he will not start. Cocico (Bends/Velazquez) – His two latest were relatively flat efforts over the turf and this group looks a little saltier than the last pair. Shoot the Loop (McFarlane/Goodwin) – Been running at lower on the dirt since arriving in Shakopee save for his last race at this level on the turf where he finished 8th. Shipmaker (Bends/Nolan) – A very fine effort against higher in his last over the slop. Returns to the turf where he had a tough time carrying his speed 7 1/2 furlongs – today he moves to a mile and seventy yards but could be the speed of the field and Nolan can ration it. Tiger D (Rhone/Stevens) – While not all folks had hoped coming to Shakopee, his best efforts at Tampa make him dangerous in here, the lowest claiming level of his career. 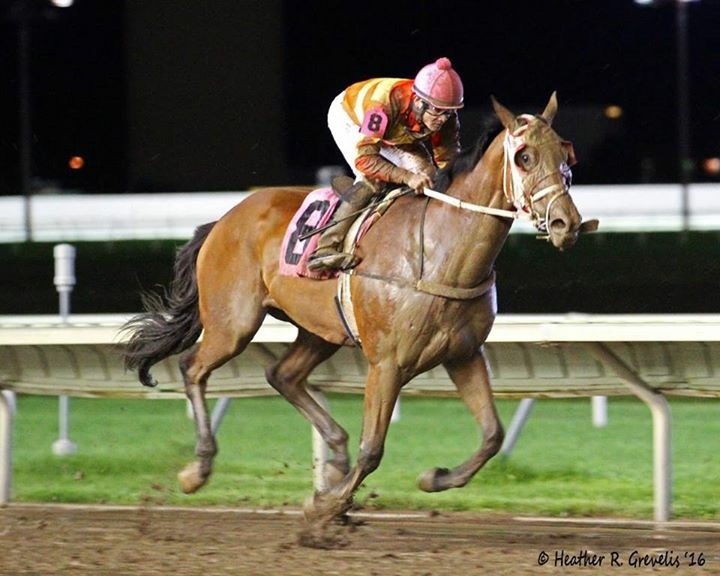 Mimito Boy (Donlin/Mojica) – Very successful spring at Fonner but has had a harder time here. Returns to the turf after a very long time away. Affirmed Cure (Peters/Canchari) – Minnesotan has had a bit of a tough summer, but he drops in class a bit and returns to the turf. Behr Strike (Westerman/Hernandez) – Has slid a bit since his 2nd place finish three back but has shown the talent to be competitive at this level. Megastar (Hop/Coddington) – Has really had a tough run here this summer after some moderate success in Arizona. Best off the pace. Gentle As A Breeze (Van Winkle/Ramgeet) – Showed some speed in his last but faded late. Comes back a week after that effort and either benefitted by the longer trip or may be a bit tired late. Saturday’s Light (Padilla/Delorme) – Speedy gelding will have its work cut for it from the 12 post. Even if 1 is out, that only moves him one spot in and will need to navigate a pair of turns early and try not to be trapped wide. I really like our chances in here. There is some speed sprinkled in the race and if they all go, Dean should have Boomer in a really nice spot early. The class drop here should help but, objectively, while he was competitive at $20,000 early in the meet but still couldn’t win, nor could he win at $10,000 when we claimed him. The same can even be said last time in that tough $16,000 race. So…while I like us, it is not going to be easy. Tiger D could perk up on the class drop and Gentle As A Breeze likes the course and might be able to get early position – though the speed to his inside will make it hard. We could sit off early if the three with proclivity toward early speed go and, if they don’t, we have enough to take the lead and hold it so we’ll see how the race unfolds. Fortunately Dean can handle anything that comes his way and has a tremendous clock in his head to judge pace. Should the races come off the turf, we most likely will scratch after that last effort unless the track dries out enough to NOT be sloppy or muddy in time for us to stay in. I’ll announce any scratch here and on Twitter (@CBY_Racing_Club) as soon as I know. Please add two to your list for “breakfast” Saturday September 10th. See you then. Add two more to the Saturday breakfast 9/10/16.